Time and time again in the Old and New Testaments we are instructed to remember. Many of the emotional and mental hardships we experience in our daily spiritual walk stem from neglecting this discipline. Ignored or passed over without much thought or meditation, we stumble day after day because we forget the grace, mercy and promises of God. From the beginning, when Eve took the first bite of that forbidden fruit, a large part of her problem was not remembering. She had forgotten the promise and instruction of God. She didn’t completely remember what God had told her and Adam about eating the fruit. Again and again as the people of God fail to live for him, it is too often a remembering problem. Deliberate sin is not as much a concern for most of us as neglecting the small things. 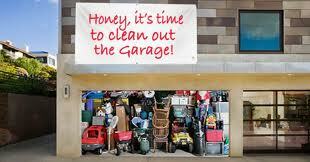 As my big project for 2013, I’ve taken on the task of cleaning out the garage. That messy cavern holds years of work, hopes and dreams of my late husband. It was his shop, his hideout and his sanctuary. As I scrub, paint, sort and toss, I remember that so much of his life revolved around a great dream of changing the world through a machine that produced unlimited energy. He didn’t accomplish his dream; but he never forgot it. I remember that I believed in that dream because I believed in him. The Lord has a plan (a dream) for my life and your life. We can believe in that marvelous dream when we remember and trust in Him. It was the annual gathering of Special Gathering members. Each year nearly 200 mentally challenged people meet in Vero Beach at Life for Youth Camp for Retreat Agape. For almost 30 years, we have met there from Friday morning until Monday morning each Memorial Day weekend. It’s a gloriously fun place for our members who are intellectually disabled. There are water-slides, a lake for boating and swimming, go-carts, putt-putt golf, a game room, crafts, bingo and a petting zoo. 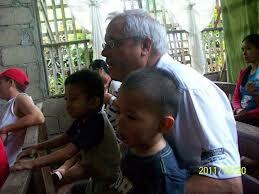 Our morning and evening chapel services are as loud and roudy as a spiritual retreat is supposed to be. Yet, there is a great deal of love shared as the members of Special Gathering reconnect with people from other cities. Christ’s love flows freely as we praise and worship the Lord, ministering to each other. This year, powerful things were accomplished during our chapel services. We know that because the enemy of our soul was busy causing disruptions and distractions. The overhead projector went out just as we began our Saturday night service and one member became agitated and headed out the campgrounds, planning to walk home which is 75 miles away. The air conditioner went out for the Sunday morning service; and there was a huge thunderstorm at the climax of the Sunday night worship. The climax of Retreat Agape is always our Sunday evening worship service. We end this service with the Lord’s Supper. Yet, as the thunder began to roar violently overhead, fear raced through the members with squeals and moans of concerns. We had to end our service abruptly, giving the bedtime medications in the chapel. Then we raced to the cabins sharing umbrellas and raincoats. Sometimes,we simply have to make the best with what is dished out to us in our lives as well as in our ministries. There are events that seem to ruin even the greatest of spiritual experiences. I, honestly, do not understand how the Lord will use this disruptive thunder storm for our benefit; but he has promised that all things will work for our good. Therefore, we know that God will use it. There are thunders storms that attack our lives, changing our plans and even our destiny. Our husband or wife dies. We lose our jobs. We are forced to do things that seem hard. Our children don’t respond in ways we desire or planned. Flexibility can help us to walk into deeper water in the love of Christ. Using flexibility to make-do when life throws us off kilter can harden and strengthen our relationship with the Lord, teaching us to love the Lord more than we ever thought possible. At Brevard Achievement Center (BAC) in Rockledge and Melbourne, Florida, the staff have found an excellent way to communicate and reward the people who are developmentally disabled that they serve. They take them out to lunch. Occasionally, Special Gathering staff is asked to join them. I love being invited to be a part of that time. I believe that the meal serves as more than a place for your body to be nourished. Traditional worship found in the Bible centers around the meal. The Jewish celebrations took place in homes, involved an elaborate meal and family fun. 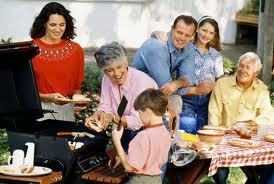 The Old Testament feast of booths was a seven-day family camping trip which celebrated the fall harvest. 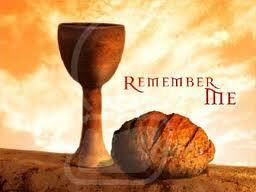 The Lord’s Supper or communion was instituted by Jesus after he and his disciples had shared a family meal. Whenever an angel appeared, in the Old Testament, they were offered a meal. Most of Jesus’ appearances after his resurrection, involved or took place during a meal. There is a purpose behind this. Barriers are broken down during meal time. People bond in a unique way. Our members also respond in a unique way to sharing a meal together. During our parties, we decorate and have table cloths and good food. Our members are extra careful and incredible grateful. Perhaps the most holy time in Christendom–communion–revolves around a meal. In our churches, we have sanitized communion, packaging the grape juice and pressing the bread. In the process, I believe we have lost a good portion of the meaning and joy because we have eliminated the meal. Yet, in ministering to people who are mentally challenged I’ve found that they have the ability to make every occasion festive. How have you found that meal times are important to you and your members? Do you have a certain time that you make sure that you share a meal with your members? Do you ever have one-on-one meals with your members?